The target at 25 yards. The wife and I decided to have a little fun at the local range. We each took one shot to see who would hit closer to the bulls eye. We didn't bet anything, although that could have been fun. 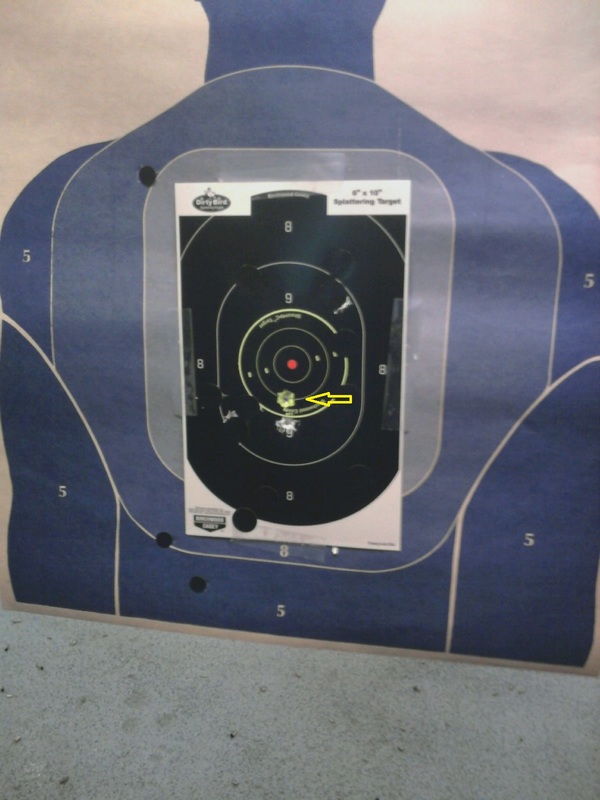 I used a Glock 17 9mm and she used a Sig 250 9mm. I hit in the "9" ring and was very happy with that, and then she took a shot. Now I sleep with one eye open. Here is the wifes winning shot. Wasteland Approved. 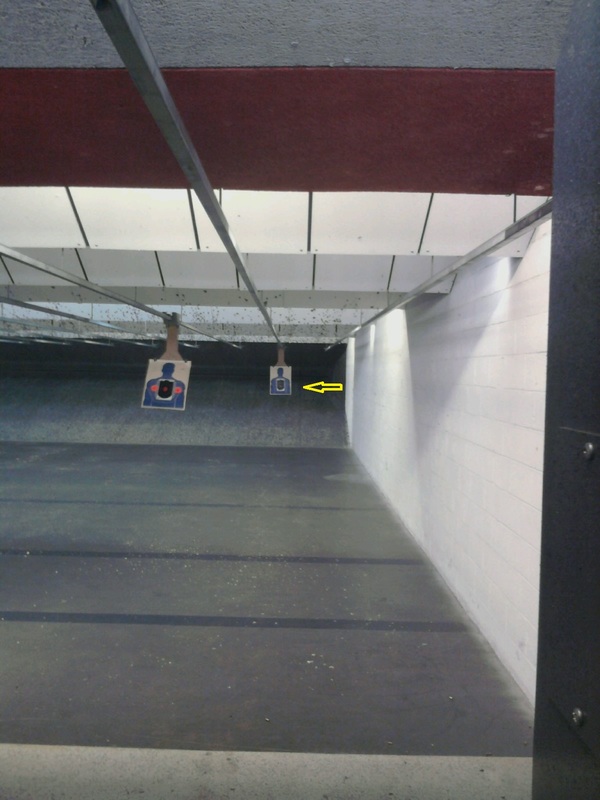 Any of you guys ever have some friendly competition at the range?